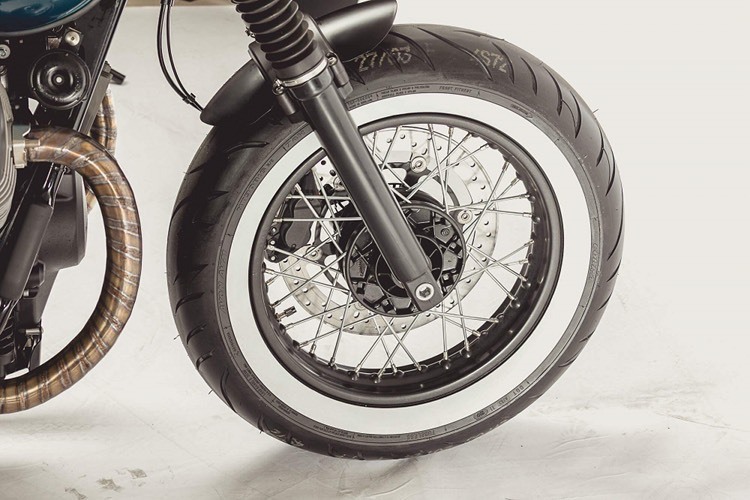 Customizing bikes is an art form, and Unik Edition wants to do it in an exceptional way. That the bikes are beautiful — to die for — and work well. Above all…the owner can have something truly in his image — he is unique, so the motorcycle. 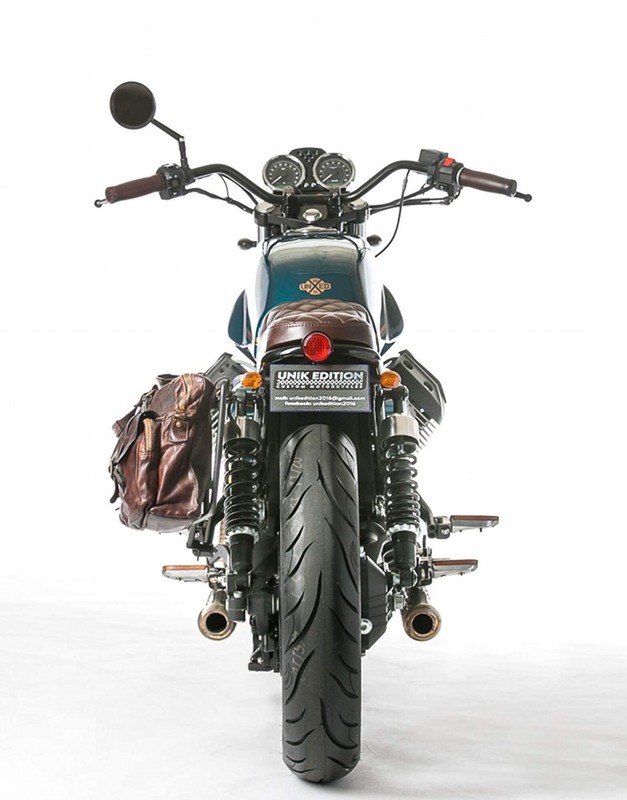 We love the possibility of picking up an old bike or a new and for many enough, and transforming in a work of art. 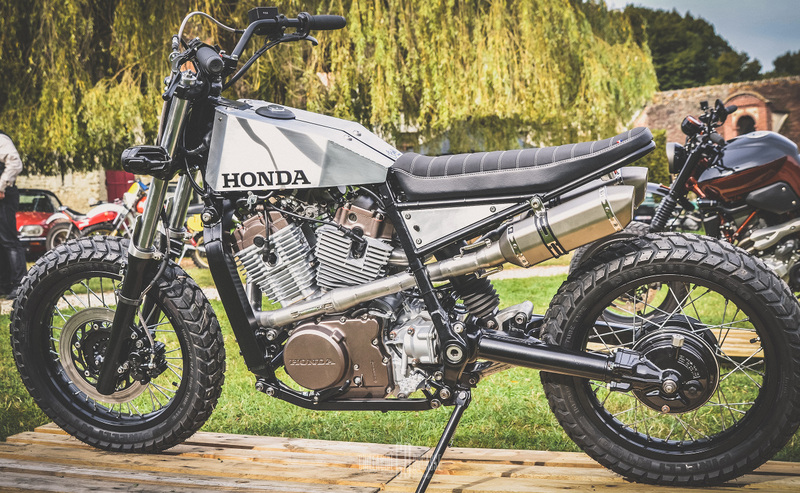 In just over a year, the team has turned out five bikes, which have gained a good bit of international attention, appearing in best-of-breed publications. The team is hoping to professionalize in 2018. 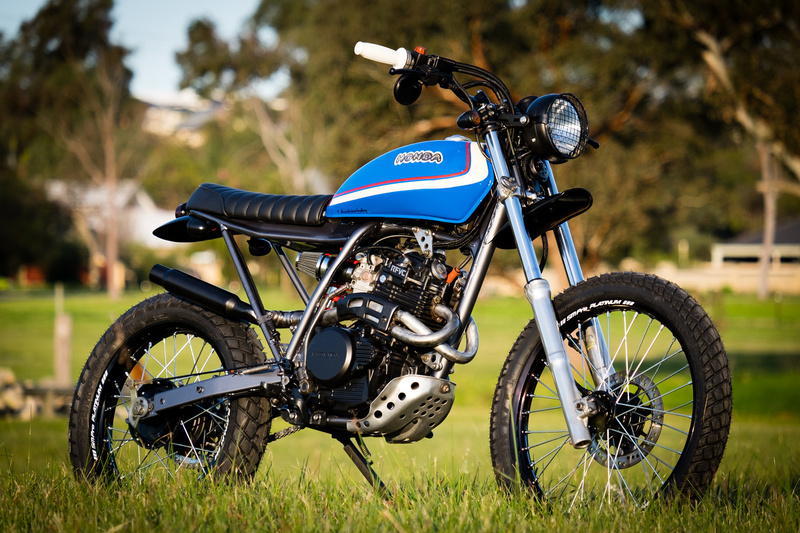 Below, we get the full story on this beautiful build. Elegance. Retro inspiration. Focused on details. Soft ride. 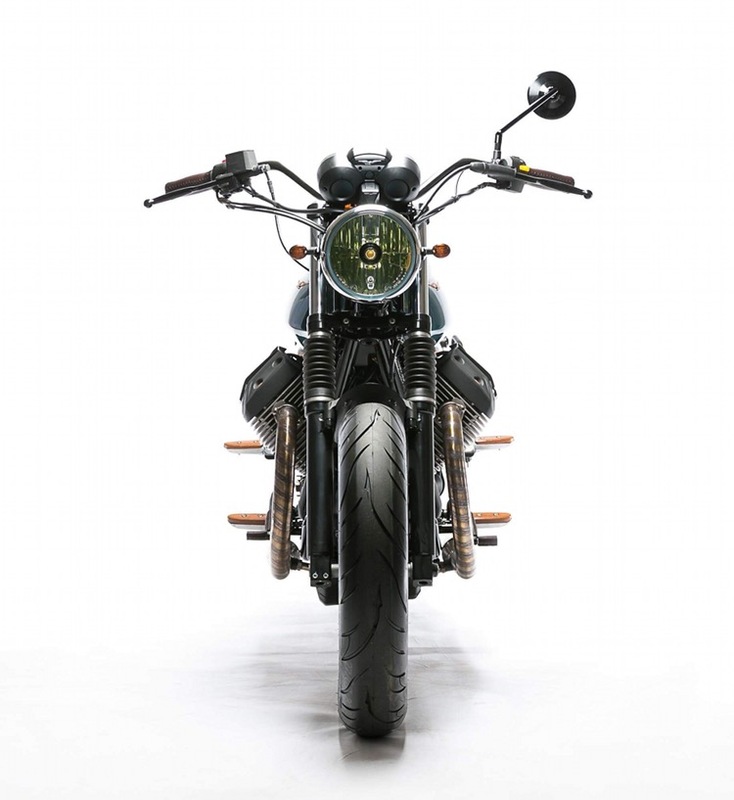 For a long time these were just mere guidelines to a possible collaboration and endless talks about motorcycles between Unik Edition Custom Motorcycles and Stone Life Style, the cafe racer shop that has become a true reference in Lisbon, Portugal. 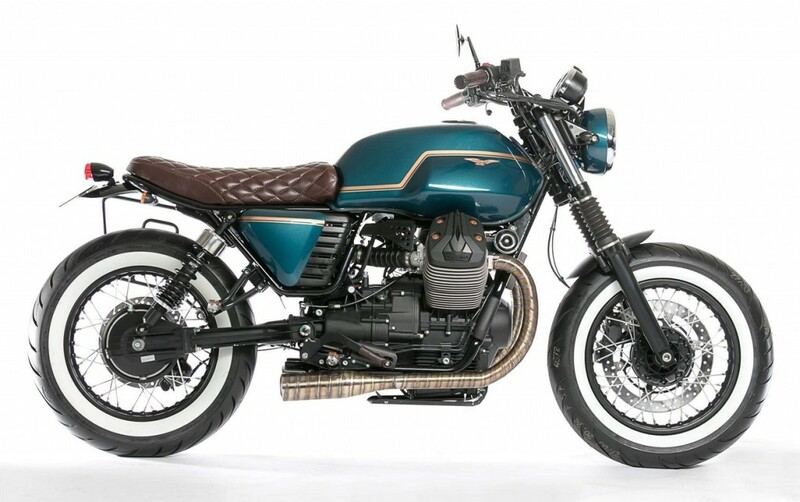 All those ideas and possibilities finally had a shot in becoming a reality with the availability of a brand new Moto Guzzi V7 II and the project took off. No need for any kind of briefing as the many hours of debates had already well defined the path. 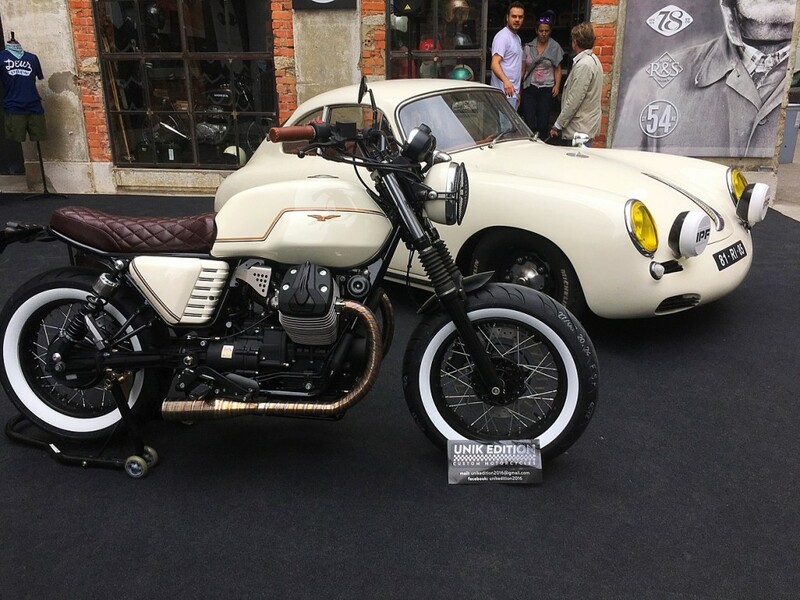 The project was named “Fifty Four” and took a first style to fit together with a 1962 Porsche 356 Outlaw especially for the Art & Moto expo in Lisbon. 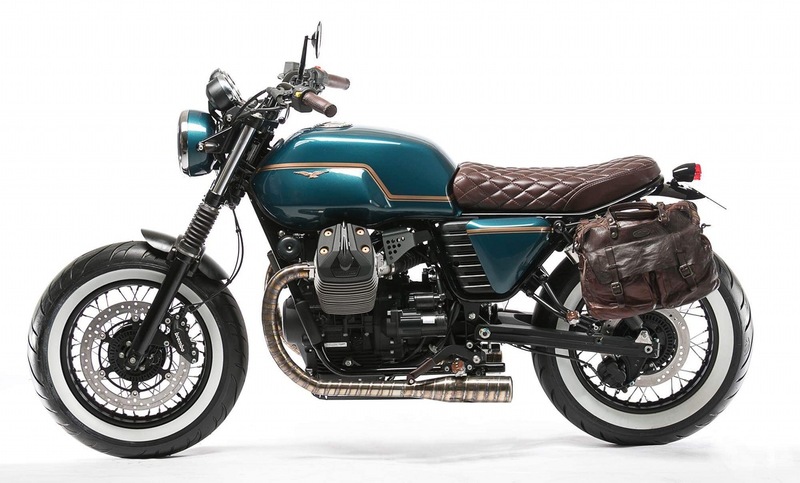 Although a big success, the bike would return to his initial color scheme for her final attire. The final paint result is an Hedon inspired Shortlist color with flashes of bronze here and there, finalized by a very special leather fitting. 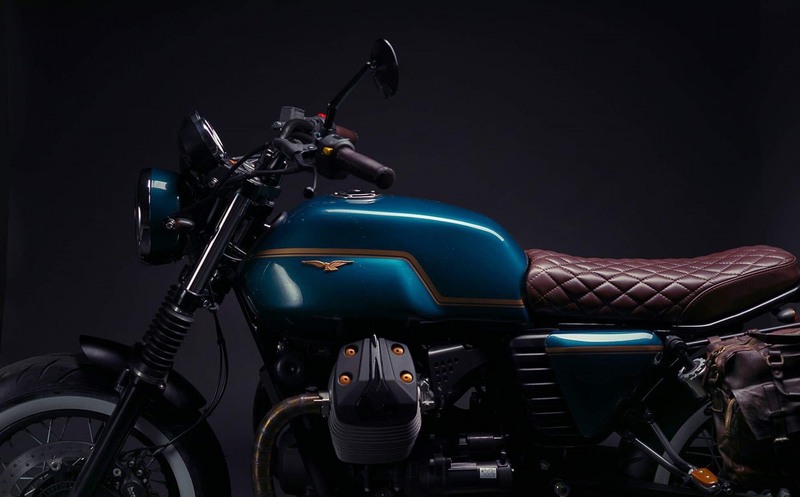 The exhaust system, specially designed for the bike, was totally hand made and tailored to look very old school and deliver an outstanding sonority. The rear sub-frame was shortened, and new small fenders were done to match the new 15″ wheels with spoke rims and a beautiful cobra white wall tires. A higher LSL handbar complete the look. 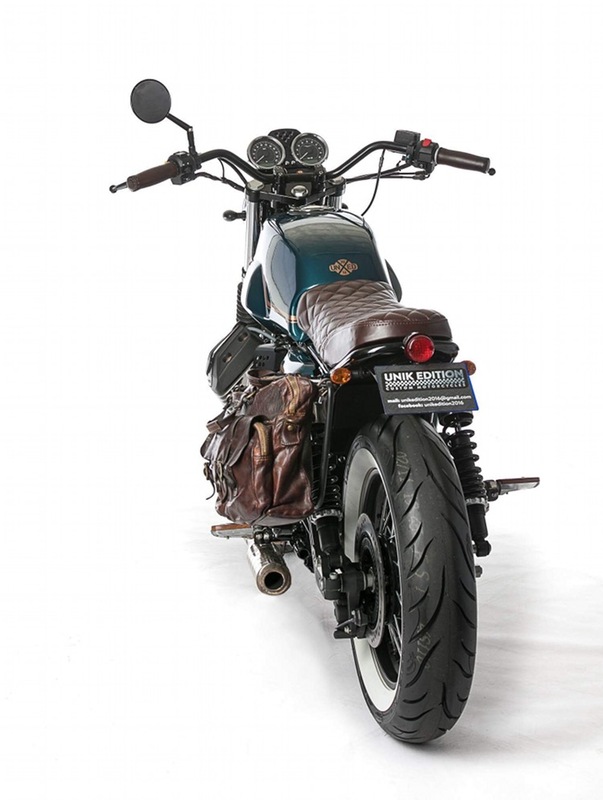 Other details include special handmade wooden footpegs, genuine leather seat with match grips and a South Garage side bag. Bobber!? Nowadays is this important? ? The elegance of the retro inspiration concept. The sonority of the beautiful exhaust.